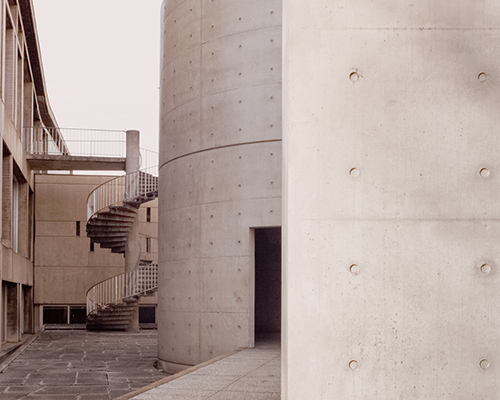 the exhibition explores the architect's use of smooth concrete, simple geometries, natural light, and water. with an asking price of $35 million, the penthouse spans three levels and features 4 bedrooms, 4.5 baths, and 3,240 square feet of outdoor space. designboom was in tokyo for the exhibition's opening, where we took a closer look at the acclaimed architect's ever-expanding body of work. the movie highlights the trademark concrete exterior ando has designed for '152 elizabeth', and the exclusive residences contained behind its glass façade. in order to see the buddha, visitors must navigate a 40 meter-long tunnel that leads to a sun-filled rotunda. 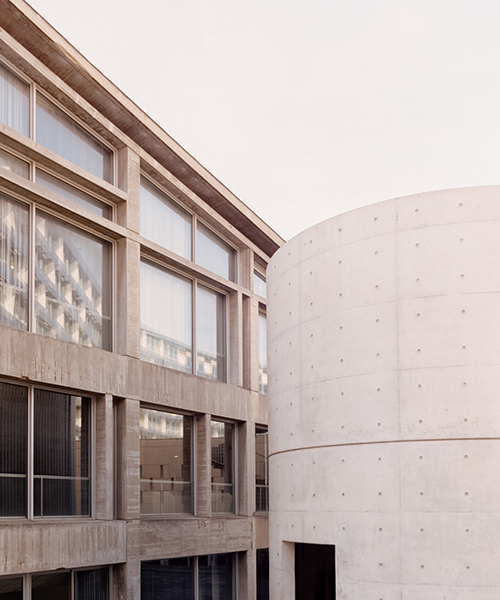 as part of the project, ando has designed a concrete cylinder that will be inserted into the existing building, forming a new exhibition space. conceived as a 'sanctuary', the development's acoustically enhanced façade has been designed to ensure that residents have tranquil home environments. with a primary structure of reinforced concrete, an outer glass skin, and five steel tubes that penetrate the structure, tadao ando's poly grand theater is documented by NY photography yueki 'jazzy' li. measuring 20,662 acres, the site's main residence hovers above a reflecting pool, and directly adjoins a horse barn with eights individual stalls. the scheme measures 32,000-square feet and comprises a total of seven stories and seven residences. the scheme seeks to create an atmosphere of 'minimal luxury', where all of the building's unnecessary interior furnishings have been conscientiously removed. PORT magazine visited the acclaimed architect's osaka studio, which he originally designed as a home for a young family. situated between the mountains and the pacific ocean, the entire complex seeks to accentuate the region's natural landscape. 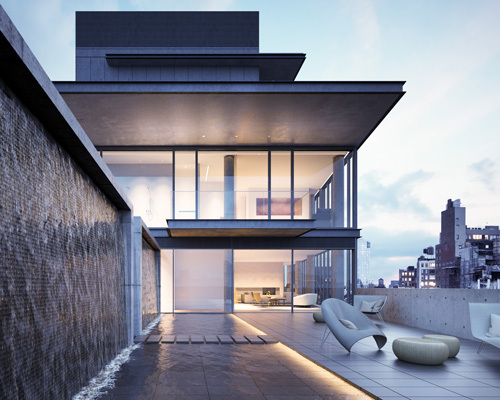 the japanese architect blends the elements of light, sound, air, and water into the design for the luxurious concrete and glass condominium: his first project in new york. ando is set to inaugurate his first building in new york city, a seven-story ultra-luxury residential tower in lower manhattan featuring all of his famed architectural elements. the vast scheme involves improving visitor experience with a series of additions and modifications articulated around a centrally positioned reflection pool. to celebrate its tenth anniversary, the japanese architect has designed a milan showroom for the venetian brand that is characterized by linear geometrical shapes in a palette of grey and white. 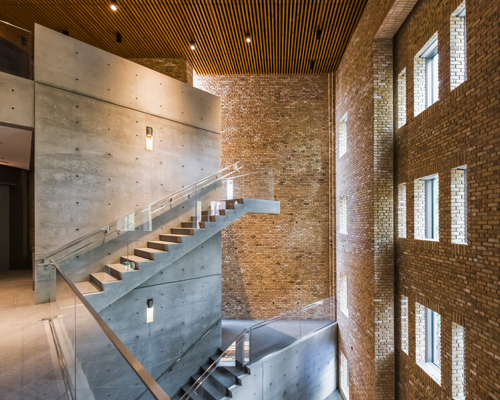 the construction project will see the lower level of the tadao ando-designed building being converted from existing office and storage spaces, into additional galleries for the foundation's curatorial and public programs. the building is formed of three angled floor plates, stacked to provide sheltered external patios at ground floor level. 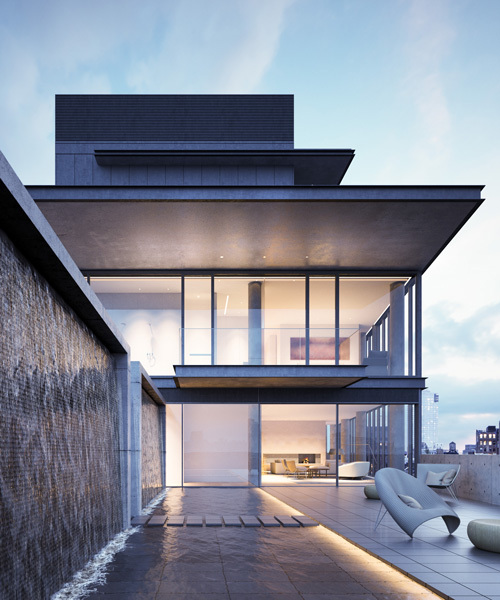 NEWS: new york developers sumaida + khurana have commissioned the pritzker prize winner to design an eight-unit luxury condo in the nolita area of manhattan. external terraces surround a tiered reflection pool, creating a tranquil and calming ambiance and forming the focal point of the newly landscaped grounds. completing a renovation project lasting almost a decade, ando's theater exhibits once again his careful attention to form, light, and material. 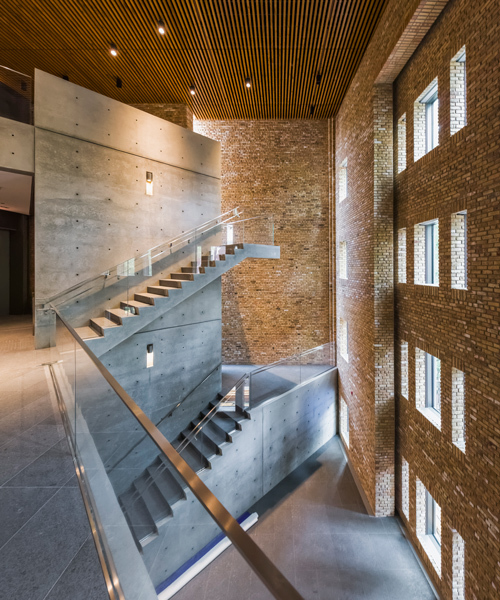 the architect draws from the landscape of the korea's phoenix island to create two spaces of meditation. plans for a monumental green wall set to run along the grounds of the shin umeda city complex may be thwarted by a petition filed by the landscape architecture of the original garden. submerged in a water garden positioned on top of a mountain, the hushed architecture of the museum of characterized by the lush green landscape which surrounds it.